Holiday beverages and baked goods are the best treats of all. They're warm and hearty, and extra sweet with the flavors of the season. While the price of ingredients can add up quickly, there's no need to spend all your money on said treats. Here are 80 holiday goodies that won't bust your budget. 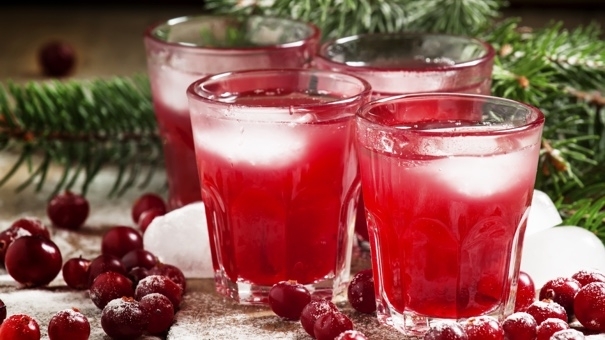 15 Cheap and Delicious Punch Recipes for Holiday Parties — This is peak holiday party time, so punch bowls around the world are full to the brim and ready to be drained. But you don't need pricey syrups, liquors, and pressed juices to make a yummy drink. Just use any of these cheap recipes! 7 Savory Food Gifts — Since we've all been gobbling up candy and baked goods since Halloween, we might all need a break from the sweetness. These savory food gifts are just as delicious, but won't give you any instant cavities. Eat Your Garbage! Turn Your Trash Into Delicious Holiday Food — Ready to cook up some holiday meals? Shop your trash can! No, seriously. The food you always throw away might contain the key ingredients you need to make the perfect Christmas dish. Give it a go! 15 Delicious Gifts You Can Bake — DIY holiday gifts are not only cheap, but they're also wonderfully personal. So when you can save money and give someone an edible gift they'll truly enjoy, it's a win-win for everyone. Start Now: You Can Make These 23 Delicious Holiday Gifts — There's still time to make many of these delicious gifts! Just grab your list, check it twice, and get cookin'. 16 Easy, Delicious and Homemade Holiday Gifts — I'm not inclined to cook or bake anything unless the recipe has "Easy" in the name. For those of you who can relate, these scrumptious holiday treats are right up your alley!